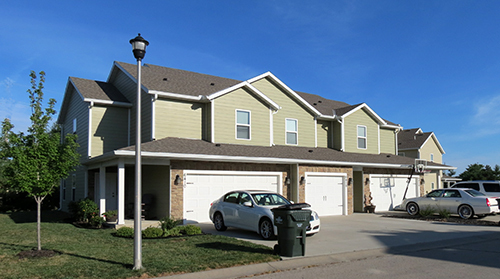 Listed below are all JoCo KS duplex, triplex, and fourplex properties for sale as of today. These are whole duplexes, whole triplexes, and whole fourplex buildings. This is how I got started in real estate in 1999--as a real estate investor. My very first property was a fourplex. Then I bought a couple of duplexes. I always found the multi-family properties to be easier to deal with than my single-family homes. Maybe you will too! Just call me, Deb Staley, to learn how to get started as a real estate investor. Usually these multi-family properties can be split up and sold separately. This is an especially good idea when there are a lot of owners and interest in the subdivision. It takes a while though. You must have a survey, which is costly. ($2,000-$3,000) Then the city must approve the splitting of the building. After that, Johnson County does their approval and creates the separate tax IDs. It can easily take several months to get through this.